How do I test PST etalon? I posted a thread, newbie: trouble with Coronado PST, a few days ago. The picture below is the prism side of the ITF, which is rusted and needs to be replaced. I decided to take the scope apart and look at etalon. The dimples are on the hidden ring that moves the internal parts of the etalon. I'm having trouble seeing, or actually noticing, anything happening inside the etalon. Before I order the ITF from Maier I'd like to verify that the etalon is functioning properly, or that I can make it work properly. Any advice, or guidance, on how to check out the etalon would be greatly appreciated. Edited by dmcnally, 01 April 2016 - 10:13 AM. 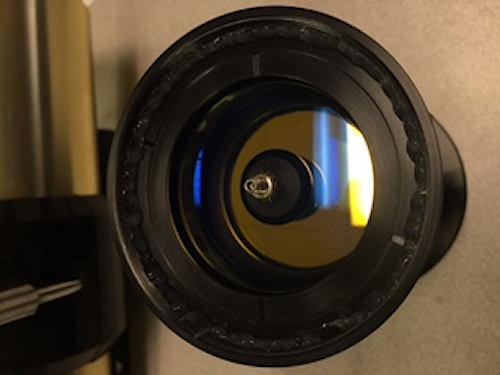 The Etalon is between a negative lens in the front and positive lens in the back. The purpose of the lenses are to first make parallel light that passes through the Etalon and then refocus that light to form the image. As you turn the tuning ring, it screws down on the Etalon, pushing it into a foam ring. This causes the Etalon to tilt, which is how it is brought on band. So the first thing to check is that the Etalon is tilting as you turn the ring. You can see the reflection coming off the surface and watch it move as you turn the ring. The other issue is that the Etalon may be decontacted. The Etalon is made up of two plates in which the two inner surfaces are polished very optically flat and also have an interference coating to enhance to constructive interference at 656.28nm. The plates are held apart at an exact spacing to have the constructive interference take place at 656.28nm by four quartz spacers of the exact thickness needed. The spacers are made from taking one large spacer and breaking into four pieces so they have the exact same thickness of the correct value. Since the surfaces of the spacers and that of the plates are so very flat, they are held together by optical contacting. This is a molecular bonding of the glass that takes place with no glue. The surfaces must be perfectly clean to the molecular level and very optically flat for the bonds to form. There is art to making the bond form. If the PST was dropped the Etalon can pop apart. The classic indication that the Etalon has become decontacted is that you'll see multiple images of the Sun when you try to tune the scope. Another method is look through the lens at the edge of the Etalon. Under the right lighting you can see the four spacers around the edge of the Etalon. They look like small pieces of broken glass. They should be at 90 degrees to each other. If not then the Etalons plates are loose and moving independently instead as a unit. Edited by DAVIDG, 01 April 2016 - 12:39 PM. Thanks again for your input and guidance. I found what I think are the four spacers in the etalon. They remind me of the old glazer's points for holding in glass panes in divided light windows. I started putting marks (dot with a sharpie) round the lens holder. Then I realized that someone before me put lines where the spacers were. I checked an the lines I found were accurate. To summarize, I found four spacers approxiately 90 degrees apart. I tried the rotate the etalon and watch the reflection to see of the filters were tilting. I saw multiple reflactions (lenses and filters) and decided to take out the -/- lenses. After I removed the lenses, I rotated the etalon and watched the reflection. What I saw in the reflection didn't seem to move. I tried this from both sides of the etalon (tube and prism)... again, no real change. One thing I noticed is that the spacers (glazer points) didn't move as I turned the etalon barrel. I'm going to give it a rest and then try again. The Etalon does not need to tilt much to tune up, around 1-2 degrees. 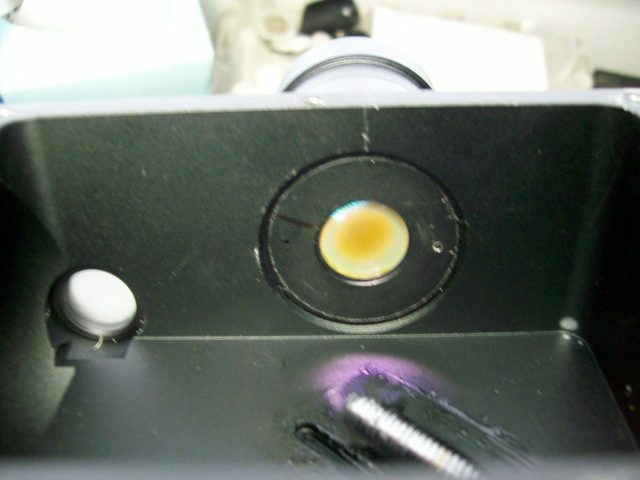 Even with the rusted ITF the scope should still tune up and show you H-alpha details if the Etalon is not decontacted. You should also be able to see the foam rubber ring that the Etalon is setting on. Usually it is either gray or orange in color. It's also possible that the tuning ring is screwed in too far and that is why your not seeing the Etalon tilting. Does it feel tight to move ? If so I would back it out until it feels loose,and let it sit so the foam can relax. Put the scope back together and then slowly turn the tuning ring by placing a rod the holes and see if it will tune up. There are usually a couple of positions of the ring were H-alpha detail will become visible and usually one them will be the best were all or almost all of the Sun's disk is on band. If I remember correctly the travel of tuning ring is about 3 turns for totally loose to tight so somewhere in the middle is were you would like the Etalon to tune up. By the way, the spacers are totally clear and look like thin pieces of glass, correct ? You should have a difficult time seeing them because if they are optically bonded, were they are located is basically one solid piece of glass. Yes, that's what mine look like. You should also be able to see the foam rubber ring that the Etalon is setting on. Usually it is either gray or orange in color. Yes. Mine are orange. It's either glued or stuck to the front of the etalon. Here are some more pictures of the etalon (in pieces). It's also possible that the tuning ring is screwed in too far and that is why your not seeing the Etalon tilting. Does it feel tight to move ? The ring holding the etalon was screwed in all the way. I won't screw it in all the way when I put it back together. I'm satisfied that the etalon works and I'm going to order the ITF. I'll try fine tuning the PST (and etalon) when the scope is reassembled. Thanks again Dave, you've been very generous with your time and I've learned a lot. Yep, your Etalon looks fine. Glad to see it is contacted together since from the condition of the prism I was worried that the scope took a hard fall. I'm sure the issue is that the foam is fully compressed and the Etalon just isn't tilting any longer. I bet if you give it some time to relax the foam will come back to life. By the way I can see that the back side of the foam rings also has an additional tab of rubber attached. This was done to give the Etalon some additional tilt. Sometimes there a couple of tabs and they get out of place. If you had a spectroscope or a monochrome H-alpha source you could view the H-alpha line through the Etalon and tilt the Etalon until the line became visible to determine how much tilt is needed. As I said, even with the rusty ITF it should tune up and show you H-alpha features. So I would try it out. With the prisms correctly aligned and a new ITF it should give you some pretty amazing views. Keep us posted on how things turn out. You are very welcome and glad to help. The mail carrier delivered a new ITF from Maier today. I reassembled the etalon and then installed the ITF on the PST's black box. We're going to have a lot of liquid sunshine, and grey skies, in SoCal for the next few days (to a week). I'll test the PST, and post a report, when we get some sunshine. There was a little blue sky today and I got the opportunity to do a little testing. The 12.5mm eyepiece now comes to focus using the focus knob. I took the side off the black box and saw that the prism was about 1/4" below the frame of the black box. The next experiment I did was to move the etalon over it's full range. 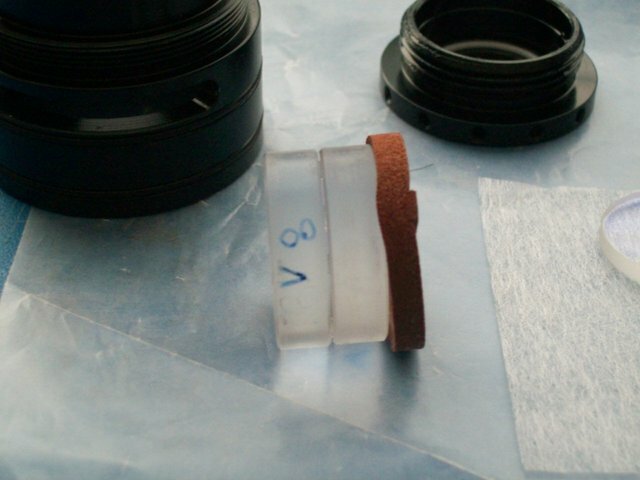 When the adjustment is fully forward (objective) the sponge is uncompressed (expanded) and when it's fully to the rear (eyepiece) the sponge is compressed. I got the best views of prominences with the adjustment fully forward (sponge expanded). I could only see the prominences when they were in the middle of the eyepiece. I took the gold tube off the scope and backed off (moved forward) the etalon stop. I put the tube back on and did another quick experiment. I could now see the prominences at the top of the eyepiece, but I lost it in the middle of the eyepiece (Yes, I moved the scope and the prominence). 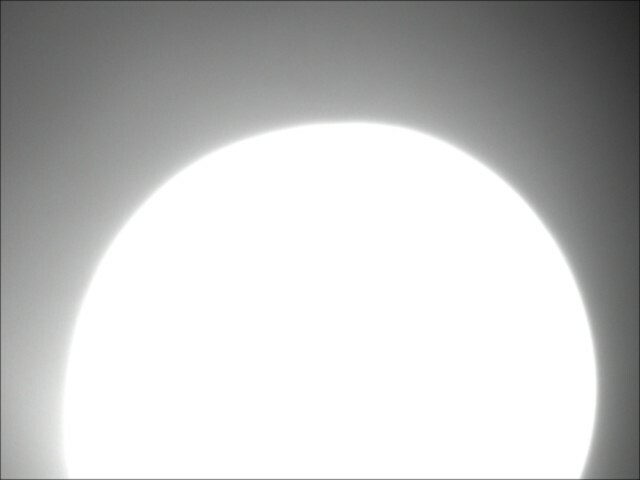 If I adjust the etalon a little, then I see the prominences in the middle of the eyepiece. I'm not sure what the above means (prism not quite square or etalon issue). I've got a QHY5L-IIM that I use for guiding. I'll try and get images in the next few days. I've only used the QHY5L-IIM, and Registax, for planetary images a few times. I'm not too good with Registax, but I can usually get something that doesn't completely embarrass me. The PST tries to get around the dual tilt problem by using a large diameter Etalon compared to the diameter of the cone coming from around the Sun. So your not using the whole diameter of the Etalon. Since this area is smaller, having it tilt precisely in two direction is minimized. The result usually is that somewhere in the position of the tuning ring you get the Etalon to tilt so most of the image is on band. What I have seen in both on my PST and a number that I have repaired is that you have a couple of positions of the tuning ring were only section of the Sun is on band and in many cases that area is a rectangular band that you can swipe across the Sun by adjusting the tuning ring. At the same time there is usually a position of the tuning ring were the area will expand and most of the surface of the Sun will be on band. If you rock the tuning ring back and forth a little bit you can sometimes get the Etalon to tilt just right and whole field of view will be on band. The bottom line is that the tuning mechanism of pushing the Etalon into a foam ring is not a precise way to tune the Etalon and the characteristic of how the foam rings deforms is not uniform every time you try to tune it. It is good that you can see proms. That means the Etalon is tuning up and working. Why your not getting a large area to come on band is mostly likely because the foam ring has been distorted from being compressed fully for so long and won't allow the proper tilt. You can try flipping it over. Also be sure that if there any additional taps of rubber on the ring to use them, since these were used to add additional tilt. Also be sure that the Etalon is centered in the cell and not getting hung up on one side. 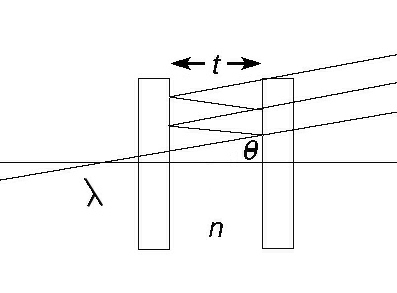 A miss adjusted prism will not effect the tuning. What that does is cause one side of the Sun to slightly out of focus and add make the image stigmatic ie the surface features will be blurred out in one direction. This continues to be an excellent learning experience and I've (greatly) appreciated your tutelage. From your signature: "Engineering = Taking what you have and making what you need." I'll continue to experiment with the etalon and tweak it where I can. I agree that compressing a sponge ring isn't a high precision operation, but that's what I have at the moment and I'll make the most of it. I had some time today and the weather cooperated. I took out the laptop and quickly realized I couldn't see the screen. I went inside and brought out an umbrella. That helped, but not enough. I did manage to get the scope almost focused. I couldn't see the laptop screen well enough to fine tune the focus or the camera settings. Here's my first shot using the PST and QHY5L-IIM... and I did manage to embarrass myself. Fascinating. I thought they actually compressed one side of the Etalon itself to tune it, i.e. tilting one Etalon plate relative to the other one, but you say that instead the whole PST Etalon is tilted by compressing a foam rubber ring on top of the Etalon, I see. Thinking about it, it can't have been done the way I was thinking since the wavelengths tuned to would vary across the Solar disc! I still don't understand what the difference between tilting the whole Etalon, and Rich View Tuning is.. is Rich View Tuning were the entire Etalon is compressed or something? 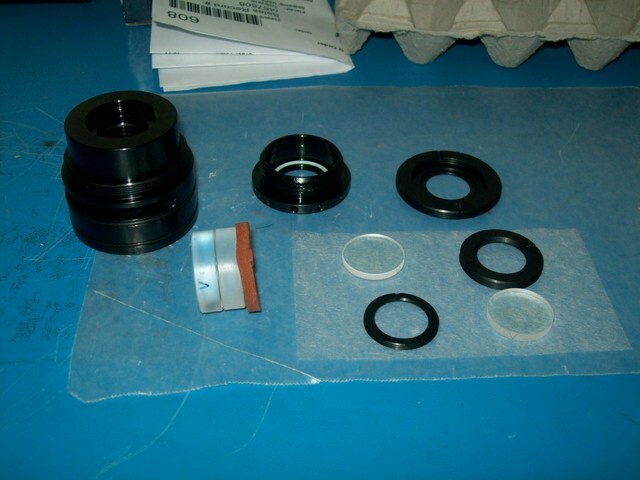 Yes, Richview tuning is actual mechanical compression of the filter spacers in order to change the etalon gap distance. 3. As the tilt angle increases, the cosine decreases, and the wavelength decreases (shift blue-ward) - tilt tuning. Having recontaced Etalons, in theory you can change the gap spacing but in these Quartz spaced Etalon there is no way that is happening. You'll scatter the spacers with the force need to compress them or the Etalon plates themselves. The Etalons are mount in a foam rings and the foam takes any compressive force before it is transmitted to the Etalon. So you would have to fully compress the foam and then some before any small force is transmitted to the Etalon. It is simple tilting of Etalon that is going on in these Rich View systems. Not necessarily, as I have first hand experience with my internal SM90 etalon having had compression force applied directly via such foam in order to fine-tune it, which shows just how sensitive the gap-spacing is to very small changes in mechanical pressure in order to effect a change in the CWL (I have since modified the etalon to be pressure tuned). This invention is based on the concept of applying a compressive force to a conventional air-spaced etalon in order to adjust the thickness of the spacers used to form the cavity and produce a cavity length of precise and uniform optical length. According to one aspect of the invention, such a conventional etalon is coupled to a housing device capable of adjusting the thickness of each spacer, thereby tuning the etalon to the desired filter wavelength. 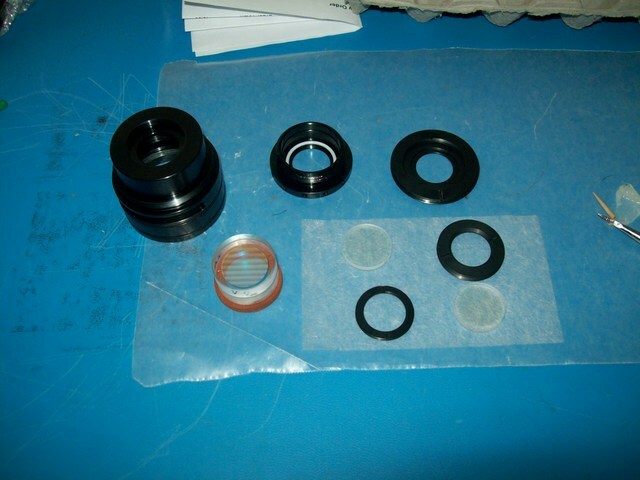 Thus, the resulting assembly is permanently set to the desired parameters for direct use in optical applications. Whether or not this is used in the PST I do not know, but I have it on good authority that such mechanical pressure tuning was and is used. I believe in some of the Coronado Richview system such mechanical pressure is not only applied at the periphery of the filter in order to compress the circumferential spacers, but is also applied via mechanical pressure applied to the central spacer in order to maintain a parallel gap spacing across the filter. 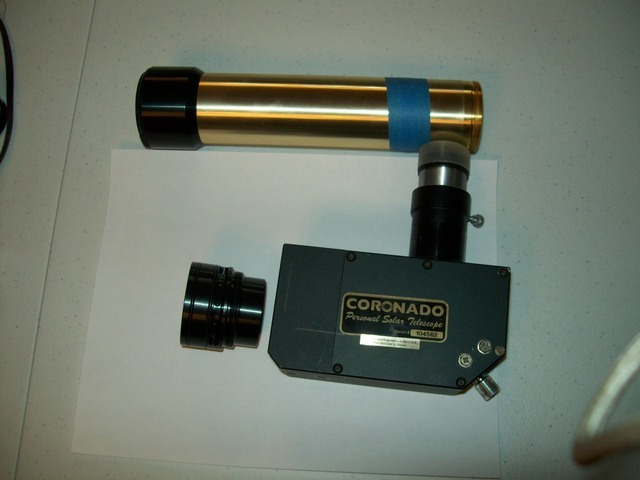 Coronado is not forthcoming with any information on this scope and is not revealing any internal specifications as of this review. I do not know what the difference may be with the “Rich View” tuning system but it appears to be the same type of compression tuning that appeared on the Coronado PST controlled by a focuser tensioning screw mounted onto the side of a standard compression ring tuner instead of a molded rubber band. Actually Kevin you can tune your internal etalon as pictured via the set screw... there were some internal etalons with a provision for tuning. You would need to inspect your sample to confirm but if there's a set screw installed you may be able to address your stacked uniformity issue and achieve narrow band nirvana as intended and hopefully originally delivered. 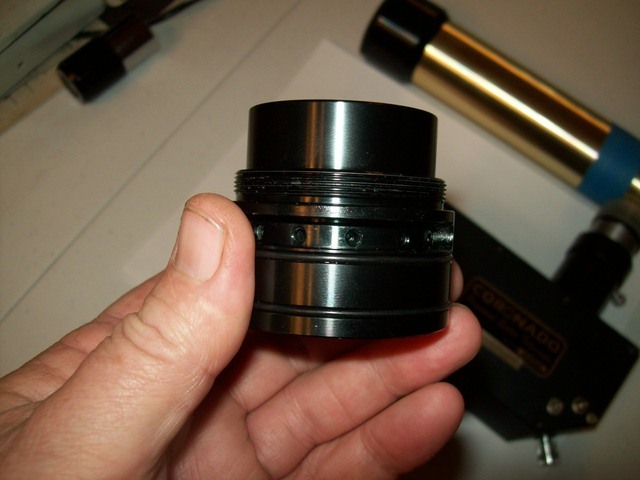 The central actuator or set screw seems to be affixed to either the internal collimation lens, or in the case of the later Coronado Richview front etalons, possibly the ERF. The Coronado RichView tuning system incorporates a central pressure pad into the ERF assembly which, when rotated, applies pressure to the etalon and reduces the effective gap, giving the wavelength tuning. Imaging Sunlight Using a Digital Spectroheliograph, page 42, Ken M. Harrison. Edited by BYoesle, 25 May 2017 - 10:33 AM. Really interesting thread. My PST was dropped several years ago, and never been able to repair it (or afford to send it back to Meade). I've taken the thing down to the etalon, and found that the two disks have separated. Near as I can tell, the spacers are all missing, but one. And the foam pad appears compressed. So, since I have nothing to lose, does anyone know what the spacer thickness is? I have some thin mica sheets coming in, so I can separate the sheets to the desired thickness (hopefully). And i found a source for the silicone foam sheeting that I can fabricate a new cushion with. Or, am I completely hosed, and chasing a fool's dream? Without the original spacers, you might be out of luck, as getting the spacing correct and uniform with mica would be difficult if not impossible. Otherwise, you will have to return the PST to Meade Coronado for the repair. Edited by BYoesle, 09 June 2017 - 12:15 PM. If you don' have the original spacer your out of luck. The spacers are all made from one larger pieces that is broken up so they have the exact same thickness and that thickness is matched to the Etalon. The spacer are Quartz and polished to have have very uniform thickness and also polished very optically flat You need to get them optically contacted for the Etalon to work. If you are the only one that took the scope apart the spacers should be in there. On the Etalons that I have repaired some of the spacers were still stuck to one plate and the other spacers stuck to the other. There should be four of them at 90 degrees to other around the perimeter. Edited by DAVIDG, 09 June 2017 - 02:14 PM. I've found 2 spacers on one etalon, and one on the other. The 4th one could be anywhere. So it looks like I either send the thing in for repair, or toss it (which I'd hate to do). The Etalon has a good chance of working with three spacer at 120° vs 4 at 90°. I don't think Meade will repair the Etalon that you have but will just replace it with another. What I would do is to remove one of the spacer and reposition it at 120° from the other. So you would have two spacers on one plate at 120° Then you could position the other Etalon plate so the spacer on it is 120° degrees from the two others on the other plate. Then try to optically contact the assembly together. There is a link a few messages up on how I have done the optical contacting. Does anyone knows thread size for gold tube etalon connection? Thanks, I found it - M50x1mm. Anyone used LDP LLC - MAXMAX.com?